Taking antibiotics prior to a visit to your Madison dentist used to be a common practice if you had a heart condition or received a joint replacement; however, this may no longer be the case. Recent research has shown that the use of too many antibiotics could actually outweigh the benefits, and using them as a precaution isn’t doing much good. 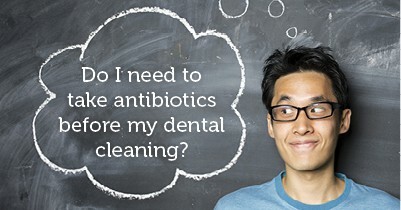 Taking a precautionary antibiotic before dental appointments, even cleanings, was initially prescribed to those with heart conditions or joint replacements in an attempt to lower the chance of infection. Many believed that bacteria in the mouth could enter the bloodstream during a dental procedure and cause an infection. However, after considerable research, it was concluded that precautionary antibiotic prescriptions were practiced solely on theory, and there is no scientific evidence that preemptive antibiotics help stop infections. In fact, it was determined that overuse of antibiotics could actually do more harm than good. Using antibiotics as a preventive measure could lead to a worse result than if they weren’t used at all. The overuse of antibiotics leads to an increase in the chance of bacteria becoming resistant. When this happens, the bacteria continue to cause or enhance infection since the same antibiotics no longer kill them. Thus, the bacteria can become stronger and lead to greater damage. However, while using antibiotics as a precaution against infection during dental treatment isn’t common anymore, there are still some individuals who should take antibiotics before visiting their dentist in Madison. Those with artificial heart valves, a history of infective endocarditis, certain congentital heart conditions, or a cardiac transplant that has developed a heart valve problem are some of the patients the American Heart Association recommends the use of precautionary antibiotics. The best way to make sure you’re getting the protection you need is to ask your primary care physician or cardiologist if preventive antibiotics are appropriate for you. A healthy at-home oral hygiene routine and keeping up with regular visits to my dental office in Madison will go a long way to preventing infection. This duo of oral health care helps keep bacteria levels to a minimum and decreases the risk of more advanced dental treatments.